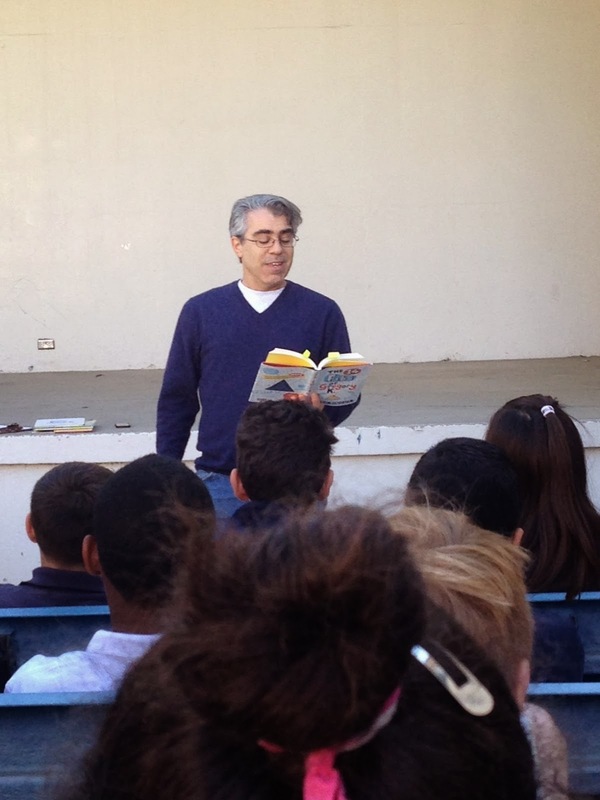 Book Giveaway, Author Interview with Greg Pincus & Poetry Friday! There's lots going on today, including a funny math poem (fractions!) for Poetry Friday--so let's get started! First of all, thank you, Buffy, for hosting PF! Through the wonders of social media, he’s sold poetry, helped himself land a book deal, ended up in the New York Times (! 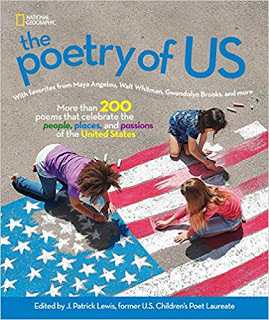 ), the Washington Post, School Library Journal (multiple times), and spoken to students all around the U.S.
Greg's poems for children can be playful, deceptively smart, and tender, too. They are always well-crafted--his rhyme is pitch perfect. But more important than all of this: Greg Pincus is a compassionate and incredibly giving person, both personally and professionally. There is never a time Greg posts on our Los Angeles SCBWI listserv that he isn't sharing a link about our industry or practical tips on using social media or something equally helpful. He's constantly lifting up all of us. It's never about Greg; it's always about what he can give to you. Greg is also very funny. 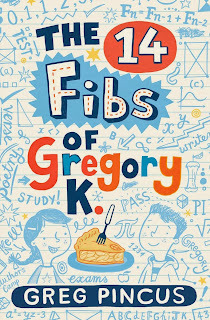 And so is his debut middle grade novel, The Fourteen Fibs of Gregory K (Arthur A. Levine Books) -- which you could win! See below! Everyone in Gregory's family adores math—everyone, that is, except Gregory. 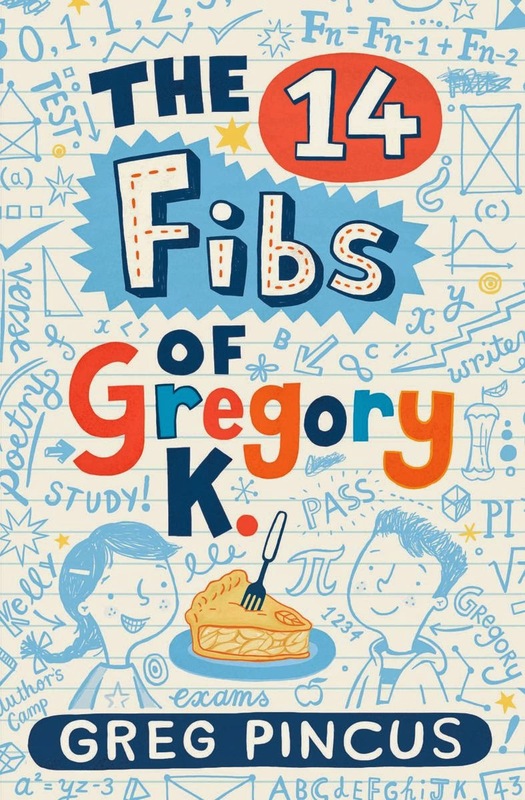 While his parents and siblings live for the yearly City Math contest, Gregory prefers writing, especially poetry...Gregory is a buoyant narrator whose extreme math phobia and obsessive love of pie (and definitely not pi) give his character an idiosyncratic shine. Hyperbolic details, like his mother's "Weird Wednesday" family dinners, are interspersed with passages from Gregory's extra credit math journal, where his ruminations on the Fibonacci sequence and "Fib poetry" give readers access to deeper reflections on mathematics, metaphor, and the places where they might overlap. Pincus's story explores struggles with friends, family, and learning while remaining exuberant and relatable, a winning equation. Pretty impressive bio and review, right? So without further delay, let's hear from the author himself! 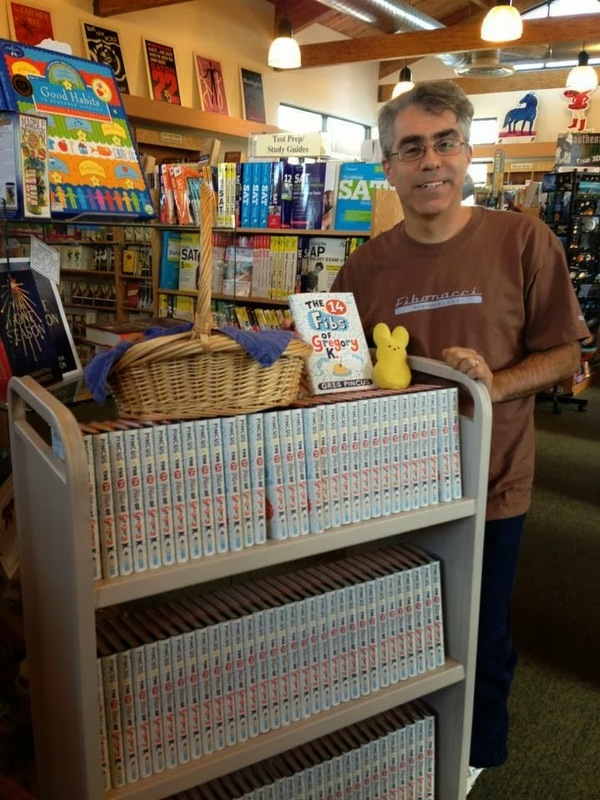 So, Greg--how did you officially become a TeachingAuthor? Inertia! 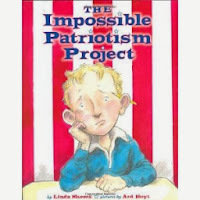 I was spending time as a volunteer elementary school librarian, so I was reading/working with a lot kids already. As I published my poetry and then The 14 Fibs, it was just a natural outgrowth to get into classes and not just talk about poetry and the like but teach it... workshop it... explore it. So, I did! What's a problem you've seen students having when writing poetry? I've found that many students simply don't know how to start writing a poem - as though there's some code they haven't been taught or some permission they need. So, besides giving permission to write a lousy draft of a poem, I also work with them on looking around wherever they are and seeing something... anything, really... that's of interest to them. And if that fails to spark an interest, we look internally, too, because there's always a feeling to write about. So far, a bit of gentle guidance has always been enough. And when did you know you were a writer? I always loved to write, yet I never really thought about it separate from school work. Until, that is, I was part of a writing competition - the Ready Writing Contest, competing against other kids my age (which was around 12 at the time). Yes, there I was with other kids who liked writing! That was exciting by itself... and then there was the fact that it was a competition which, well, at the time I could be a little competitive. The funny thing is that I remember the contest being inspiring, but I haven't a clue how I did in it. And that's really as it should be, as writing isn't a competition (though since I can't remember, I'm guessing I didn't win... and lived to tell new tales anyway). I'm working on a new novel to join The 14 Fibs of Gregory K. and working on a whole assortment of poems (Fibs included) and picture book manuscripts, too. Plus, I'm trying to get into the classroom as often as possible so I can share my love of poetry with anyone who will listen! I've gotta ask, Greg...how did you decide to name your character Gregory? Great question! Arthur (his editor, Arthur A. Levine) came up with the title The 14 Fibs of Gregory K. when we first talked about the book in 2006. There was no manuscript at the time. Instead, there was a vague idea about a kid who writes Fibs and tells fibs. A lot of my poems are written from the point of view of a kid who was unnamed... but I used to write those poems as Gregory K. instead of Greg Pincus. We decided the book should about that kid, then Arthur used "Gregory K." as part of the title. I thought it sounded great. That I happen to be Gregory K, too, is fun and certainly relates to how the name came to be, but it wasn't actually me making the choice! Editors do a lot - including, sometimes, naming the main character for you. Who knew? Click here to watch his entire book launch, which he streamed live! What poem will you share for Poetry Friday, Greg? I bought a quarter pound of eighths. I bought an ounce of thirds. I filled a bag with seventeenths that I will feed the birds. I found a ninth of thirty-eighths. I grabbed a single half. The sixths and fifths were one-fourth off, and that caused me to laugh. Well, that’s when things got strange. Although they’re selling fractions there, they cannot figure change. Thank you so much for stopping by today, Greg. We look forward to posting your Wednesday Writing Workout right here on January 15th! To win a copy of The 14 Fibs of Gregory K (the book trailer is below), enter via Rafflecopter. This giveaway ends at the end of the day, December 31. The lucky winner will be notified after the first of the year. Good luck! 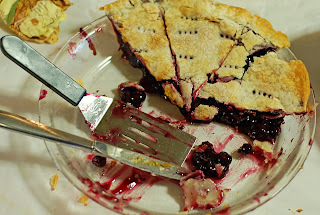 And may you all eat pie! Dear Campers, this is the last post on Teaching Authors until 2014. Have a wonderful rest-of-December and watch for our posts beginning January 5th--we promise to help kickstart your writing engines in the new year! Need more? 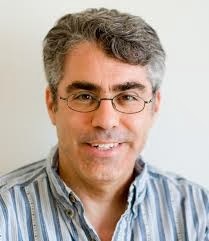 For a fun and wonderfully in-depth interview of Greg, complete with a video of him reading his poem, “I Went to the Farm Where Spaghetti Is Grown,” paddle over to Renee LaTulippe's fabulous blog, No Water River. Labels: April Halprin Wayland, Book Giveaway, children's poems, funny poems, Greg Pincus, Interview, poetry forms, Poetry Friday, The 14 Fibs of Gregory K.
I began 2013 with a BOLD move: I bought an iPhone5. 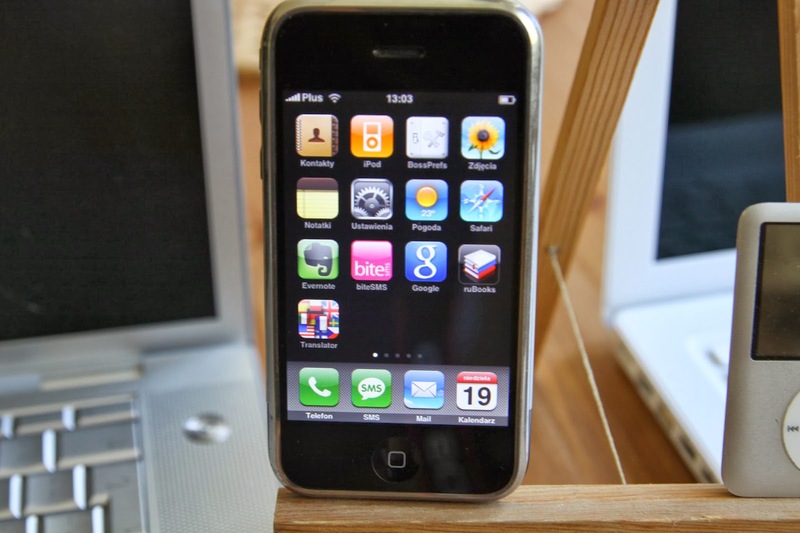 Finally I was joining the technologically-savvy-and-cellular-device-connected Human Race! I could hear my Luddite heart quicken as I studied the icons, thumbed my keyboard, clicked on images. But soon, like everyone around me, I too was finger-swiping screens like there was no tomorrow. My 3-year-old grandson had fortified my courage. A week earlier, within 3 hours of being introduced to his family’s Christmas present – i.e the iPad, I’d watched him arrive at Level 4 of Angry Birds and pout when his fingered launches failed to earn 3 stars. The aforementioned grandson also inspired my newest August, 2013 Sleeping Bear Press release TXTNG MAMA TXTNG BABY which brings 2day’s Techy-Techy World to the sturdy pages of the ultimate hand-held device: the baby board book. Of course, we all know the value of journaling. And now, I can journal anywhere, and post a Selfie of me journaling, to boot! To start a new entry, I simply click the +sign at the top left of my screen. A new post opens. I can type away, adding text, photos, locations, the weather, the day and date of course, even music and tags. 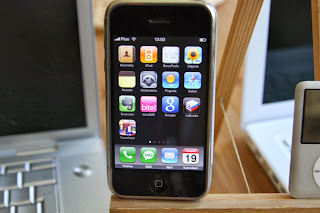 The app connects with the cloud; it synchs in with other Apple devices (none of which I own yet); it’s totally searchable and entries can be downloaded as a PDF and printed out later. Try journaling in the New Year. The DayOne blog offers up a multitude of journaling possibilities, whether you own an iPhone, another brand’s notebook or even choose to journal your day the old-fashioned-way, with a notebook and pen or pencil. Check out the app's website for thoughts on why and what to journal. 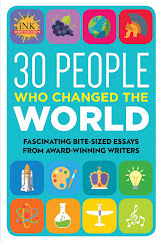 Reading through the DayOne list of uses will turn on all sorts of light bulbs to get you writing about your day, every day, Sunday through Saturday, in an easy, focused yet creative manner. Even your Dear Santa letter – it’s not too late! I've read many clever and affecting picure books this year, so having to select two or three favorites might have been difficult. Because of personal connections, though, two stand out for me. 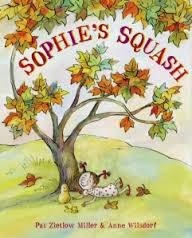 The first is Pat Zietlow Miller's Sophie's Squash (illus by Anne Wilsdorf). Pat's a dear friend, and I first saw this funny, sweet story in manuscript form. Reading it, make that savoring it, literally gave me goosebumps. I couldn't stop thinking, "Oh, man, this is so GOOD." I told Pat that, of course, adding, "This will sell." Happily, an editor soon snapped it up. 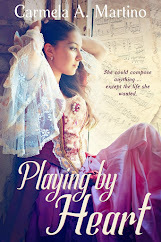 Once published, Sophie quickly garnered 4 starred reviews. Woot! 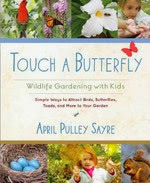 School Library Journal said: "With lessons on life, love, and vegetable gardening, this tale will be cherished by children, and their parents will be happy to read it to them often." Cherished, people. Gotta love that. Another favorite this year is from Australian author/illustrator Gus Gordon. Gus is a children's book celebrity down under, but Herman and Rosie is his first American release, and it's a doozy. I could wax poetic about this story of how two lonely, quirky souls come together in New York City, but NYPL librarian and blogger extraordinaire Betsy Bird does it so much better. Read what she had to say about this gem here. Gus burst onto my radar when he was tagged to illustrate my I Am Cow, Hear Me Moo! (Dial, May 2014). His illustration style is part collage, part plain old amazing. Kids will love searching for subtle details sprinkled through Herman and Rosie. It is one special book. The third book I think deserves special mention is a TERRIFIC craft book from prolific and uber-talented picture book author Linda Ashman. 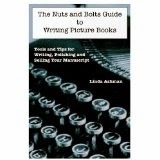 Her The Nuts and Bolts Guide to Writing Picture Books is a comprehensive how-to, packed with clear, well-organized information that examines every element of picture book writing. Whether you write in rhyme or prose, everything you need to know is here. And Ms. Ashman doesn't just tell you how to master something, she includes examples from already-published picture books so you can see for yourself. As I read Nuts and Bolts, I couldn't help wishing I'd had it back when I was starting out. Talk about shortening a person's learning curve! Truly, this is the best book I've ever read on writing picture books, and I know I'll be returning to it again and again. Your copy is waiting here. 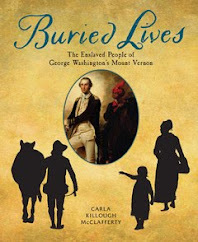 Today I continue our TeachingAuthors series about our favorite books of 2013 by discussing three of my favorites from this year: a nonfiction picture book, a middle-grade novel-in-verse, and a young adult historical novel. In honor of today being Poetry Friday, I've obtained permission from the author of the novel-in-verse to include a poem from her book I'll also provide links to several online "best books of 2013," in addition to those JoAnn shared last Friday. 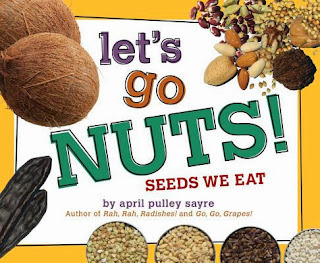 Because I'm currently working on novels, I haven't been reading many picture books, but I want to highlight one I did take time to read: Let's Go Nuts! Seeds We Eat (Beach Lane Books) by April Pulley Sayre. Full disclosure here: April is a good friend of mine--we met while attending Vermont College. 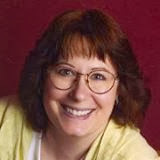 (We featured April in this Guest TeachingAuthor interview back in 2010.) But even if I didn't know April, I'd still LOVE this book, the third in a series that includes Rah, Rah, Radishes! A Vegetable Chant and Go, Go, Grapes! A Fruit Chant, also from Beach Lane Books. 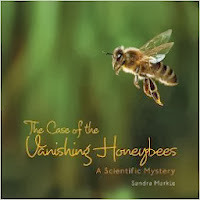 All three books use a lively rhyming text in the form of a chant to turn what might be a dry topic into a fun learning adventure. The books' wonderful photographs make the subjects appetizing to even the pickiest eaters. I can just imagine a classroom of students chanting these texts. And even though I consider myself somewhat of a "health food nut" (Quinoa, nuts, and flax seeds are all a regular part of my diet.) Let's Go Nuts introduced me to new seeds, like butternuts. 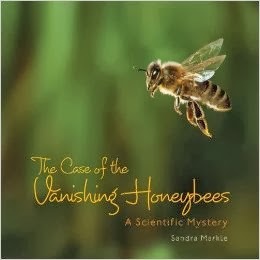 Finally, I love how the lightheartedness of this book extends to the end matter, which provides "The Scoop on Seeds." Thanks to Let's Go Nuts! Seeds We Eat, I now know the difference between cacao and cocoa. It's no wonder that JoAnn included one of April's books in her best-of list, too--April is a master at making nonfiction come to life! As with Let's Go Nuts!, I enjoyed learning new things from this book, this time about American history. The story is set in what is now Indiana. Even though I was born and raised in Illinois, I had no idea the War of 1812 reached the Great Lakes region, nor had I ever heard of the Miami Tribe. 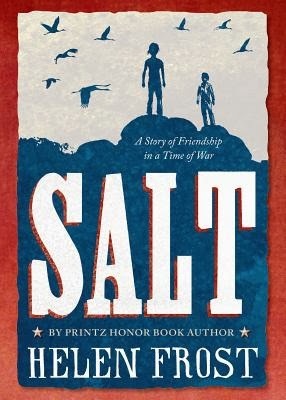 But aside from what I learned about American history, I appreciated what this book had to say about friendship, especially friendship across cultures. As I wrote in my reading log: "I was especially struck by how misunderstandings develop between settlers and natives simply because they don’t speak each other’s language, even for the two boys. But because of their friendship, the boys overcome their misunderstandings to help each other." from words moving through us. leaving salt streaks on our faces. back to earth, and are absorbed. © 2013 Helen Frost. All rights reserved. Used with permission. "Will Shakespeare, in London pursuing his dream of acting, meets a young woman who will change his life forever: Long Meg, a tavern maid who disguises herself as Mack. A tale of mistaken identities, love triangles, and comic misadventure." I love that Klein chose to tell this story in a style reminiscent of Shakespeare's work and filled with historical details true to the setting. I especially appreciate how she creates an authentic, multi-layered protagonist in Meg. 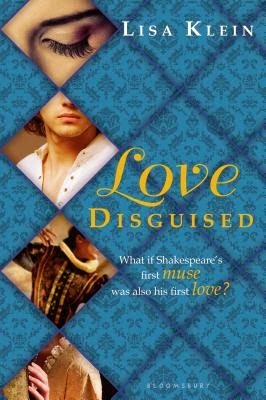 You don't have to be a fan of Shakespeare to enjoy this book. New York Times list of Notable Children's Books 2013 includes young adult, middle grade and picture books. School Library Journal has three separate lists: picture books, fiction, and nonfiction. And you can see the Goodreads' Readers' Choice awards for picture books, middle grade, young adult fantasy and science fiction, young adult fiction. 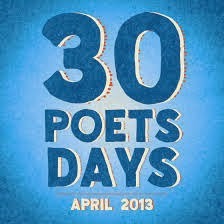 Don't forget, today is Poetry Friday. When you're done checking out all these great lists, be sure to head over to this week's roundup by Tabatha Yeatts at The Opposite of Indifference. 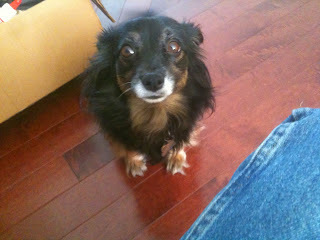 No, I’m not going to discuss taxes or finances, although they might be good topics for future posts. 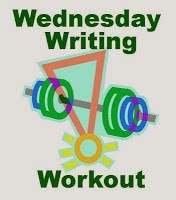 Today’s tips concern the writing life. Here’s what I need to keep in mind at this busy time. Maybe you do, too. 1. Hold a year-end clearance. Now that my teaching semester has ended, I’m immersed in my semiannual clutter-busting battle. As soon as I turned in my students’ grades, I recycled every piece of paperwork from this semester. I’ve significantly reduced the piles on my desk, but I still have a long way to go. The end of the year is a good time to make space for new work. 3. Prioritize. Which projects call to you the loudest? What subjects tug at your heart? Put those at the top of your To-Do list. Buck up, kiddo. The hardest thing to do with some of these projects is to let them keep hanging over your head. Make 2014 the year to tackle what’s most important to you. 4. Protect your assets. You are your own best resource, and you cannot produce when your gas tank runs dry. Get outside and fill the well! I tend to put off making appointments till the end of a semester, slap my forehead, and schedule everything at once—which is why I’ll get my hair cut and visit the dentist this afternoon. I’ve scheduled a physical for next week. Then there’s that exercise plan. . . .
5. Believe in the power of positive thinking. It’s hard to create when grudges weigh you down. I’ll be forever grateful for the family and friends who buoyed up our family during one of the toughest years we’ve ever faced. Let that kind of memory influence your outlook. And finally, a year-end bonus: my best wishes for the happiest holidays. See you next year! there’s best the adjective, best the adverb, best the noun and best the verb. And what best means to one, it doesn’t mean to another. I pondered the possibilities, but not for long. SNOWFLAKES FALL, I knew, bested all. Simply put, children’s books do Important Work. They delight. They inform. They inspire. They encourage. Always, they leave their readers with Hope. children’s books help readers make sense of their World. On the morning of April 20, 1999, I was out-and-about, visiting grade schools in Lake Zurich, Illinois, sharing my very first picture book There Goes Lowell’s Party! with K-5 students, when News Bulletins reported the tragic killings at Columbine High School in Littleton, Colorado. How does one explain this horrific happening to children? Or the December 14, 2012 losses of Sandy Hook? I am honored to live and work in a community that when tragedy strikes, when horror reigns, members instantly begin gathering children’s book titles, sharing resources and utilizing their talents to help children grasp and grapple and understand. 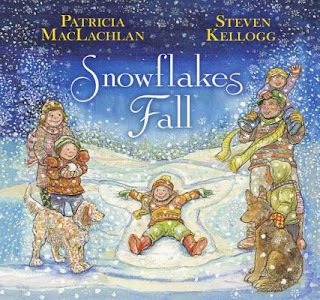 SNOWFLAKES FALL is the first collaboration between longtime friends illustrator Steven Kellogg and Newbery medalist Patricia MacLachlan. In a February 25 PW interview, Patricia MacLachlan shared that the snowflake motif used to underscore each individual’s uniqueness and the power of nature and time to help heal was inspired by the Connecticut Parent Teachers Association’s efforts to encourage people to create paper snowflakes to decorate the new school Sandy Hook students would be attending. A round white decal claims the bottom left corner of each book’s cover. 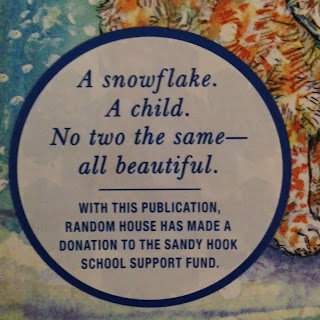 Random House also made a book donation of 25,000 books, signed with autographed bookplates, to the national literacy organization First Book, in support of children everywhere. When it comes to the power of children’s books, it doesn’t get any better than that of Snowflakes Fall. Thanks and Holiday Greetings to our TeachingAuthors readers who continue to uplift and celebrate us and help us remember! The weather outside is—how many synonyms can I find for brisk that don’t imply awful? I’m trying to remain positive. One thing that helps at this time of year is finding so many recommendations for wonderful books to read. Last Saturday, I took part in Small Business Saturday by helping out at Boswell Book Company in Milwaukee. The only difficult task in the whole process was limiting my book recommendations to five. I couldn’t do it, so I suggested a few extras and let the booksellers narrow down the list. Eleven authors participated, and all our suggestions are listed here. 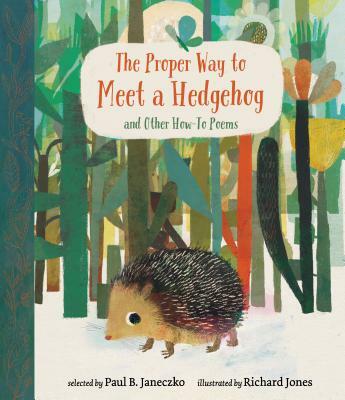 Here at Teaching Authors, we’re posting about the best new books of 2013, so I’ll highlight just three of my recommendations: one poetry collection, one book for adults, and one nonfiction picture book. 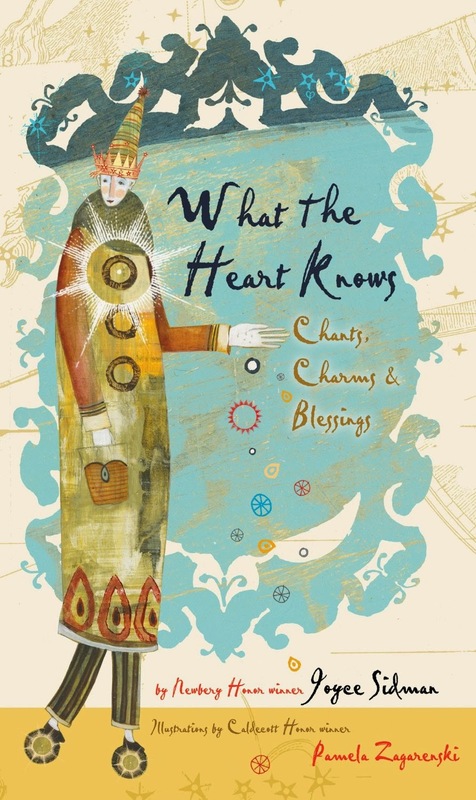 Joyce Sidman’s terrific YA poetry collection What the Heart Knows: Chants, Charms & Blessings, illustrated by Pamela Zagarenski, has received at least four starred reviews and has been featured on many other Best-of-the-Year lists. I’m tickled to see this book getting so much attention. It made me laugh, it made me cry, it made me wish that I might someday write something half as lovely and evocative. Here is the poem that cracked me up. then I am the piccolo. I am the silver hint of dawn. I am the elephant’s eyelashes. You are the knife, I am the spoon. You are the sun, I am the moon. You are this, I am that. Today's Poetry Friday roundup is at Life on the Deckle Edge. 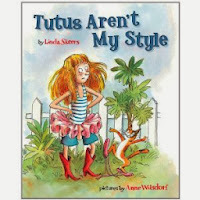 Linda's picture books are filled with humor and heart. She's one of those naturally funny people, a popular speaker who even leads workshops to teach others how to write funny. 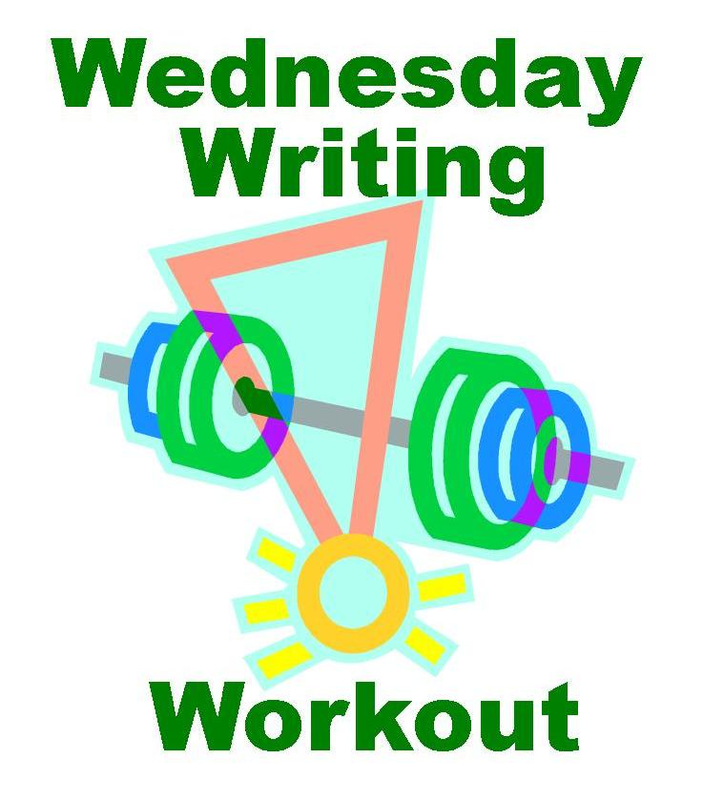 For today's writing workout, Linda has agreed to share an exercise she's used with both children and adults. Enjoy! Kids love to laugh. Editors love to laugh. Heck, everyone loves to laugh! But what do you do when you sit down to write something that will have everyone giggling and you just stare at the blank page, feeling anything but funny? Here's an exercise that will help you create some silly situations, crazy characters, and get you laughing out loud in no time. First, get three paper bags. Label one CHARACTERS, another PROBLEMS, and the third SETTING. Next, cut paper into strips. Now, let the fun begin! Quickly write down possible characters on slips of paper. For example: pirate, walrus, alien, dentist, zookeeper, and cowboy. Drop them in the appropriate bag. Move on to problems or situations: lost, new school, hungry, broken leg, digging for buried treasure... don't censor yourself, just jot down whatever pops into your head. Put them in the PROBLEMS bag. Now for settings: deserted island, Mars, playground, bathtub, snow fort, jungle. Add them to the SETTINGS bag. You don't have to come up with ideas on your own. Ask family, friends, other writers, kids, your mailman... for things to add to the bags. Now, draw a slip out of each bag and tell a story with those three elements. Mix and match until you get the giggles, and then that blank page won't look so scary! Thanks, Linda! Merry Christmas and happy holidays to all!